Grab your favourite microphone, plug it into your iRig Pre HD and record straight to your device with true studio-quality sound anytime and anywhere. Simple as that. 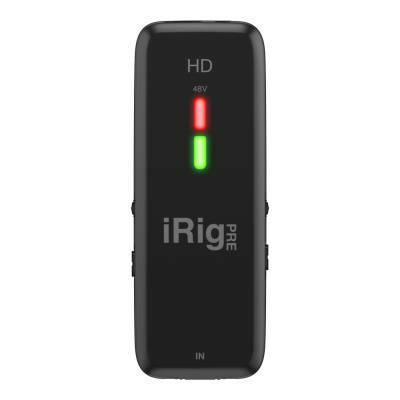 iRig Pre HD features a high quality Class A mic preamp with an adjustable gain range of 40dB, a +48V phantom power selector, a multicolour LED indicator and an integrated headphone output for real-time monitoring or for listening to high-resolution music (making it ideal for use with the latest iPhone). 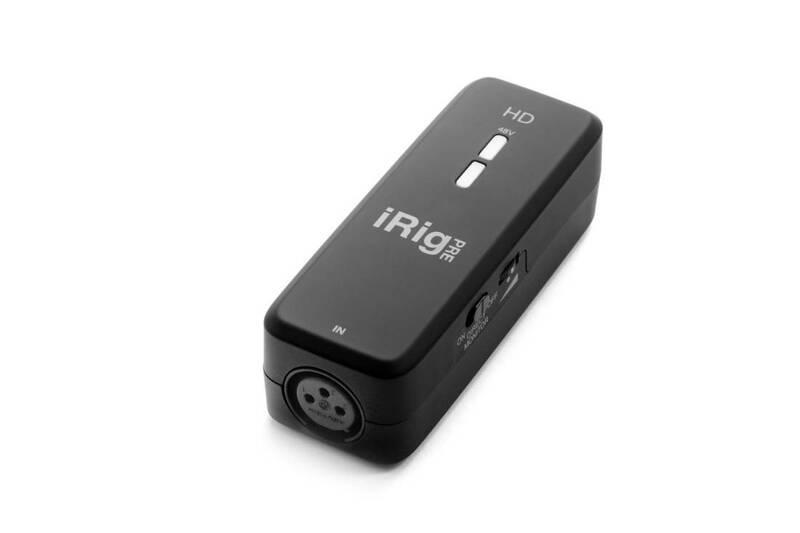 It also comes with all necessary accessories and cables right out of the box to let you hook it up in a matter of seconds. 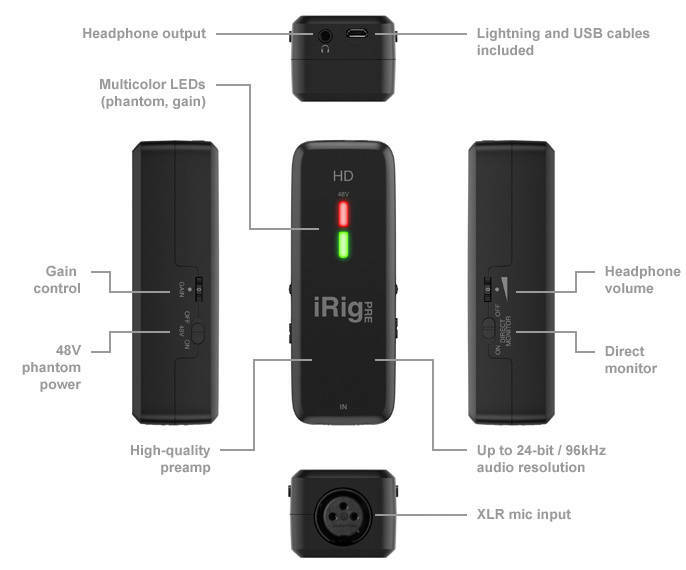 iRig Pre HD is guaranteed to work out of the box with all iOS devices using a Lightning connector including those that do not have a headphone jack. 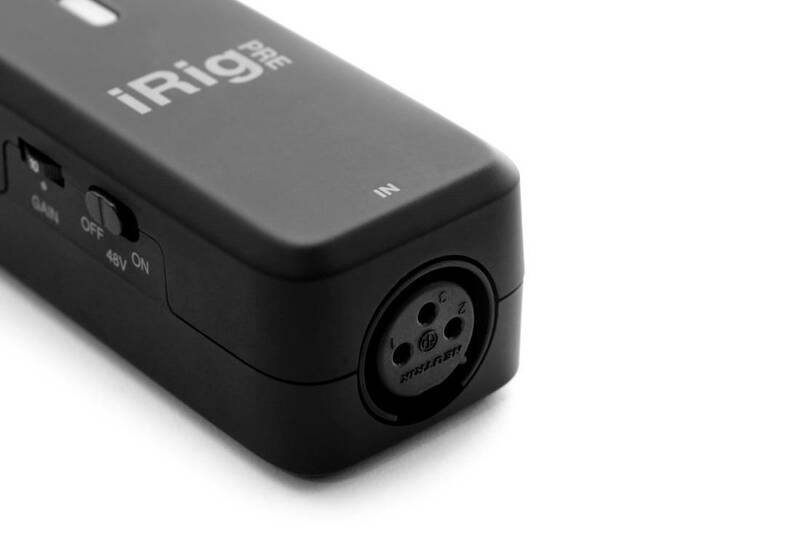 The included Lighting cable allows for plug-and-play with Apple iOS devices while the USB cable connects Mac and PC computers offering the ability to record anytime and anywhere using your favourite dynamic, ribbon or condenser microphone models with phantom power (using batteries). Size: 40mm/1.57" x 110mm/4.33" x 34mm/1.34"
Mac: macOS 10.6 or later. One free USB port. Windows: Fully supports Windows 10 WASAPI for low latency audio. One free USB port. *ASIO4ALL is required on Windows 7 and 8 for low latency audio. *Micro-USB-OTG to Micro-USB cable (sold separately) is required.